Actually pretty cool, considering it's ole Hemingway. I especially enjoyed the chapters about the Fitzgerald's, although Hem tears Zelda to pieces and presents the Fitzgerald's marriage very one-sided. Of course he'd do it, being Scott's friend and all. 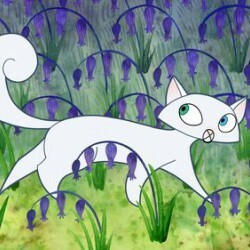 There were funny episodes and thoughtful ones and overall sharp observations on Parisian life through the seasons. 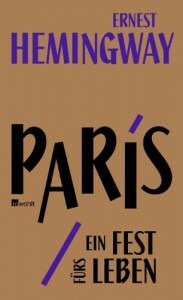 So even if you've had problems with Hemingway before (like me! ), I recommend you try this. 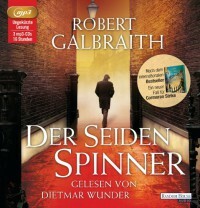 Just like the first Cormoran Strike novel, this is quite enjoyable. Since I've grown fond of Robin, I'm only sad her character plays such asmall part so far. I enjoy the literary world as a setting, but at the same time Rowling's cliché-heavy writing is a bit much. All this isn't new to me, either, so overall, the novel meets my expectations. Leider gab es doch keinen auch nur ansatzweise feministisch vertretbaren Twist am Ende. Es bleibt also dabei: Frau ohne Mann = komplettes Chaos. Frau mit Mann = Erfolg. Trotzdem echt lesbar und insgesamt ganz gut. Ich muss mich wohl noch etwas sortieren. Und wach werden. Reading progress update: I've read 182 out of 263 pages. Also das liest sich ja praktisch von selbst! Die erste Hälfte ist allerdings bedeutend besser: Darin fällt Karo in eine Depression und wir verfolgen ihre gesundheitliche Entwicklung. Da ich selbst keine erbliche Depression habe, aber liebe Menschen in meinem Umfeld, finde ich jeden Annäherungsversuch an das Thema wertvoll. Auch wenn Sarah Kuttner die Depression nur aus Beobachtungen an anderen schildert. In der zweiten Hälfte fällt der Roman aber ins typische Frauenroman-Schema, das er selbst in seiner besseren Hälfte auf die Schippe nimmt. Die Frau ist ohne Mann keine Frau. Es geht nur darum, mit welchem Kerl sich Karo zusammentun will. Mh. Meine beste Freundin hat mir dieses Buch mit unerwarteter Begeisterung in die Hand gedrückt. Ich: Kurzer Blick auf die Dicke des Buchs, Größe der Schrift - keine allzu großer Zeitfresser. "Okay, ich werds lesen." - Ich habe nicht gerade Luftsprünge gemacht. Heute habe ich das Buch begonnen, auf dem Balkon sitzend, mit den Stiff Little Fingers im Hintergrund und Sonne im Gesicht. Erstes Update: Ich bin 60 Seiten drin und find es echt mehr als erträglich. Der eigene Erzählton und das vollkommen unerwartete Thema Depression haben mich positiv überrascht. ... ich les dann mal weiter. Weitere Eindrücke folgen. I'm usually not the biggest fan of historical fiction, but somehow Gablé manages to lure me in every time. Also, she specializes in the english history, and is especially fascinated with Edward I. and the Wars of the Roses, so action is guaranteed. Somehow it took me ages to read this, but it was good fun and made me want to pick up her other books again. It is the final day of the readathon! I had a ton of fun reading a wide variety of books. I managed to finish 4 books and read 859 pages. Taking into consideration the chunk of Proust I listened to (250 pages worth of audio), I'm really happy with how the readathon went for me. The Guermantes' Way (which made me almost forget I was ironing; thanks Proust!). Day 5 and I'm relaxing a bit in the sun on my lovely balcony, book in hand. I just hit page number 300, so I've got 100 pages left of Sorceress of Darshiva. As a teenager I never noticed how Eddings sometimes comes up with the most riddiculous ideas to fuel the plot. I lost it when he suddenly introduced a completely new (and nonsensical) piece of information that would render everything that happened before and after superflouous – only the characters didn't seem to care. Well, I knew before this was only lit for fun, but it is becoming more and more apparent why. I don't expect to finish this book today, but maybe tomorrow morning. Today I finished book 2 of this readathon, but it wasn't the one I was hoping to race through. I spent some minutes at the library between appointments and had just enough time to check out a fairly random comic book pick. It happened to be Drifter Vol.1 – Crash by Nic Klein. And what a disjointed mess it was. This scifi comic lured me in with its vivid colours and panoramic panels. Also I glanced some female characters. That's why I took the book with me I guess. 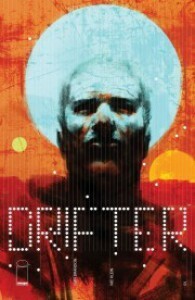 In Drifter, Abram Pollux' spaceship crashes on a strange planet. Pollux survives the crash and is saved, but it seems several years have passed while his wounds point at a very short period of time. So far, so good (if not that original). But from then on it only got more and more confusing; by the end of volume one I don't have even a clue what is going on or what I should look out for. Also I don't "get" the world building, and to top it I dislike the protagonist. So in short: I won't be continuing on with this, as it is indeed a series. I'm still reading Sorceress of Darshiva. I just didn't have enough time to read, and the heat makes me sleepy. So far I managed to partake in the conversation on Twitter a bit, if not much. Day 1 of the #boutofbooks readathon and I've finished my first book! Woohoo. 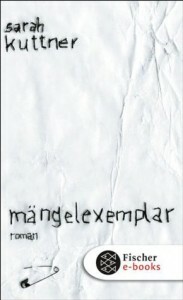 I managed to read 134 pages of Stranger in a strange land, thus finishing the book. It wasn't anything like I expected and I can't say I liked it much, but at least I finally read it. The book I'll read next is going to be Sorceress of Darshiva. I'm sure to get through this relatively quickly. And now, to meet my goals for bout of books, I'm off to Twitter to join in the chatter! 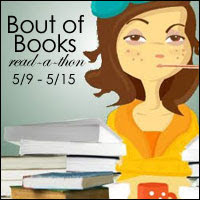 The #boutofbooks readathon is happening again. Here is the schedule. My plans are simple this time, as I'm not planning to join in with any of the competitions or giveaways. Participate on Twitter every day. Stranger in a Strange Land. I don't know if this is for me since I've heard mixed things about it. But trying to keep an open mind, I'll dig in and find out for myself. Sorceress of Darshiva. 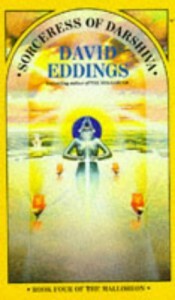 The fourth installment in the Malloreon is part of my David Eddings reread. Which has taken me too long already. 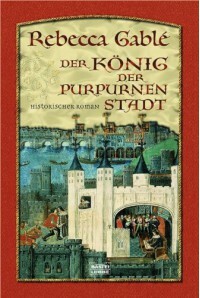 Der König der purpurnen Stadt. This German historical novel is so damn cozy to read that it's been sitting on my nightstand for months. Enough!, I say. This is getting ridiculous. Also, I will (still) be listening to The Guermantes Way, which I started yesterday. And yes, it's actually good fun when you don't need to find your way through Proust's labyrinthic sentences on your own. So this is the final day of #TBRTakedown! I made it through 3 books from my tbr, which is more than I had hoped for. First, I finished Stormfront by Jim Butcher. I had only 80 pages left and this was a quick read. Suffice to say, I ordered book 2 right away. 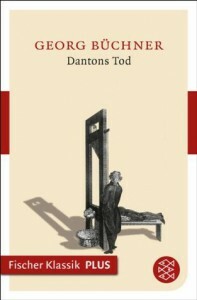 Yesterday I read Danton's Death, a play by Georg Büchner. I wasn't blown away, but it was interesting to see what Büchner made of the subject, considering he was a revolutionary himself. 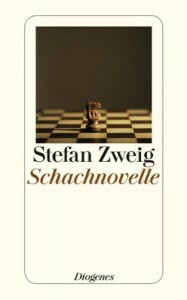 Today I made my way through Chess Story by Stefan Zweig. I was expecting a lot from it, having heard great things about this short novella. What's more, I adore Zweig's writing. I'mso glad I finally read this. It deserves all the praise it gets - go read it. I'll dip my toe into Alberto Manguel's A History of Reading next. So far, I've read 130 pages during the last months (! ), despite it being very interesting. It must be due to its size: I own the illustrated hardcover edition, which is a bit hard to handle. So the readathon comes to an end and I feel quite successful. I hope you had a great weekend. Which books did you read that you can recommend? I'd love to read your recommendations! Day 2 of the TBR Takedown readathon is almost over and I've managed to read a whole book off my TBR! I made my way through Danton's Death by Georg Büchner, a play set during the French Revolution. It didn't grip me, I enjoyed the mostly original speeches by Robesspierre & Co., though. Also, Büchner's open construction of the drama make it more interesting, there are scenes involving random people talking about the revolution in one way or another. #TBRTakedown 3.5 takes off today! Shannon over at Leaning Lights hosts the #TBRTakedown readathons and started doing some mini readathons; this is one of them. It’s running from April 8-10 and starts at 12:00 AM on the 8th your timezone. Are you participating in the readathon? What will you be reading this weekend? 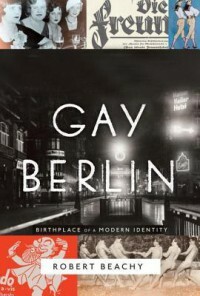 This is an academic book on how gay men lived in Berlin before the Nazis. It was fascinating to find out about the early sexology theories on homosexuality and how early masculinist groups evolved, forming earlier versions of what is largely know as "the gay identity" today. Even the words "schwul" (German for "gay"), "homosexual", and "trans" were coined in Berlin. The book is well researched and offers a insight into the subject. Mygoal is to finish this series in June, which means I have to read a book every other month. Except I didn't read this installment in time... Need to play some catch up! Deborah Tannen: That's not what I meant! I stopped reading this for no particular reason. Can't wait for the rest of this small book on linguistics. This chunker of 1022 pages used to be my bedtime read: 20 pages a day would make me feel warm and fuzzy, for this is what Gablé's writing does to me. I'm happy to continue soon! I'm not sure I like this book: While I enjoy the characters (mere types) and their little episodes, the all too present dogma of the novel bugs me - just for being there so obviously. Still: I have no idea just how to read this big, big book (not very handy!). But I'll keep trying. This is too short not to mention, although it is last on my list for a reason. It was on my March tbr and I didn't get to it, but I haven't dragged this with me like the other books on the list.